RACINE, Wis., Feb. 2, 2018 /PRNewswire/ -- Modine Manufacturing Company (NYSE: MOD), a diversified global leader in thermal management technology and solutions, is pleased to announce that Matt McBurney has assumed the newly created position of Vice President, Strategic Planning and Business Development. 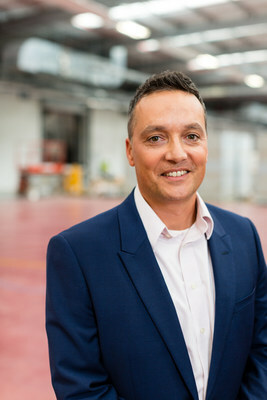 As Vice President, Strategic Planning and Business Development, McBurney will direct all aspects of Modine's strategic planning process; support the creation of business unit and company objectives, strategies and plans; coordinate data collection and analysis; and lead key cross-enterprise initiatives. In addition, he will manage the business development process in support of Modine's analysis of potential acquisitions. McBurney received his Bachelor of Science in Mechanical Engineering from the University of Wisconsin-Madison and a Master of Business Administration from Marquette University. He joined Modine in 1992 as an Application Engineer in the Aftermarket Division. Following that, he has held numerous leadership positions at the company in Engineering, Program Management, and Operations in our Automotive and Building HVAC businesses including Vice President, Building HVAC. Most recently, he led the Integration Management Office for the Luvata HTS acquisition. "This is an exciting and important role for Modine as we look for new growth and investment opportunities," said Thomas A. Burke, President & CEO. "We work in a continually changing business environment with new technologies, changing customer demands, increased globalization and an evolving role of governments. Therefore, we need to explicitly manage strategy as a process in order to drive sustained, profitable growth leading to a fully diversified, industrial company."